Environment Secretary Michael Gove said: “I am delighted to be speaking alongside Tim Breitmeyer at this year’s CLA conference, which always takes a fresh look at the challenges and opportunities for rural businesses that are so vital to the economy and local communities. Small-scale solar photovoltaic (PV) arrays and battery storage are looking increasingly attractive as capital costs decline and energy prices rise, but farms and estates should beware mis-selling in the market. According to the independent power and energy consultancy Roadnight Taylor, the cost of solar technology has fallen by over 30% this year and will drop further following the EU’s abolition of its minimum price for Chinese imports. Alongside more than an 80% rise in wholesale energy costs since 2016, this has made investment increasingly viable for businesses. “Depending on your on-site demand, generating your own power could pay back in as little as seven years, even without Government support,” says chief executive Hugh Taylor. Mr Taylor suggests profiling the energy demands on-site – both on a half-hourly basis and throughout the year – to ascertain the feasibility and the correct size of any installation. “Some solar and battery installers are recommending that landowners install much larger schemes than would be appropriate, falsely justifying investment in larger schemes and inflating income projections for unviable sites. To help farms and estates who are considering such projects, Roadnight Taylor has developed a ‘TrafficLight’ study, which profiles the energy demand, considers generation volumes and tariff structures, and ascertains the viability of a project based on leading and independent energy market projections. A green result means it’s worth investing now, amber means it is likely to be viable within three years, and red means it’s unlikely to be viable within that time. Samaritans of Yeovil, Sherborne and District are delighted to announce they will shortly be moving into a new home. Morley House, located on West Hendford, will become the new branch centre next year, once it has undergone a refurbishment programme. Sarah Coote, Branch Director is delighted at the news. ‘It’s been a whirlwind year for our branch. We were extremely fortunate to be left an incredible legacy from a local resident which is going to help us to achieve our vision for this Branch of Samaritans – to increase our volunteer numbers so we can contribute to the national 24/7 service even more effectively and to offer more space for face to face callers. Morley House occupies just over 5,000 square feet over 3 floors. Formerly owned by South Somerset Council, the building came up for sale in late September and final bids were submitted in October. New, for this year’s Winter Fair, the Royal Welsh Agricultural Society has joined forces with an up-and coming Welsh entrepreneur, Hayley Hanson, to launch a new and exciting competition for the most commercial viable cattle hide at the fair. With the emphasis on quality Welsh produce, Hayley established her own business, Hayley Hanson, back in 2016. By utilising the hides of her own commercial beef animals sent to slaughter, Hayley makes luxury leather goods from hides produced to the highest welfare standards. The hides are then tanned and processed within the UK - a fully traceable and sustainable process from farm to arm! Hayley and her husband Mike, who rear cattle on their family farm, nestled between the Brecon Beacons and the Black Mountains, will be judging the new competition on Sunday night (25 November). Hayley designs all her luxury leather products, which are produced from high quality, sustainable Welsh leather. Inspecting all eligible animals whilst they are settled in their stalls, ready for a busy few days of Winter Fair competitions ahead, Hayley and Mike will be looking for the animal which potentially has the best hide for turning into luxury commercial leather products, such as handbags, wallets, upholstery, etc. The intention will be that Hayley will use the winning hide for some of her future products, perhaps producing a range of Royal Welsh leather goods. Eligible cattle will have a Welsh passport and will be sold for slaughter at the sale on the Tuesday of the event. “We are always looking at ways of keeping our events and the competitions up-to-date and this new hide competition is perfect” says Will Hanks, Winter Fair Director. “This is the first competition of its kind in the UK and we are delighted that not only does it showcase the versatility and quality of our excellent Welsh livestock, it also highlights the importance of diversification and sustainability within our sector in these uncertain times. Julius Longman has been appointed as the new chairman of the British Cheese Awards. Julius was born into the world of British cheese. His family have been dairy farmers and cheesemakers for over four generations. His day-to-day life involves running his family dairy farm as well as being the sales director of his own company, Longmans, where he created the company’s main brand “The Vale of Camelot Cheddar and Cheese” range. In his spare time Julius loves to spend time with his wife and two boys, walking his dogs and has a keen interest in sport, particularly rugby. This year’s British Cheese Awards, its 25th year, attracted over 1,000 entries from 147 makers, with 77 judges reviewing 123 classes of cheese. Cheeses entered came from over 54 counties that covered the length and breadth of the UK and Ireland. The 2019 British Cheese Awards will take place on Wednesday 29th May 2019 at the Royal Bath and West Show (29th May - 1 June 2019) at the Bath and West Showground, Shepton Mallet, Somerset. 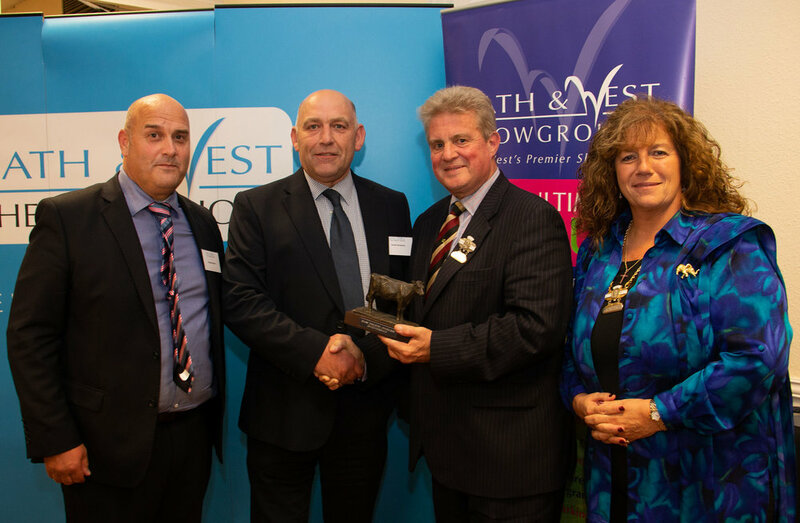 The team won the award for organising the Royal Agricultural Society of England’s 2018 British Pig & Poultry Fair, the leading professional business event for the sectors which takes place at the NAEC Stoneleigh. The judges praised the collaborative approach of the team who constantly strive to deliver the greatest possible value for visitors and exhibitors alike, keeping the event relevant and working closely with industry bodies and organisations. Feedback from the 2018 Fair has some very impressive statistics; 97% of visitors rated their visit to the event as good or excellent and 80% planned to make changes to their business as a result of their visit – testament that the Fair is working for pig and poultry producers. Exhibitors had a good event too with 100% of exhibitors meeting most or all of their objectives of exhibiting and 95% rating the organisation of the Fair as good or excellent. Held in May at the NAEC Stoneleigh, the Fair attracts over 370 exhibitors and 10,000 visitors, who attend to see what is new, gather advice and hear from the experts. Planning is already under way for the next Fair taking place on 12th & 13th May 2020, which promises to be even better still! Everybody hopes their marriage or partnership will last forever – but divorce is on the rise in the South West, and proposed changes to the law could make it easier to bring a divorce about. This means that, while no one wants to put a dampener on the romantic mood, it really is worth considering putting various protections in place, especially when there are family-owned assets such as a farming business or land which have been passed down the generations. Figures show that couples in the South West are going against a national trend, with an increase in the number seeking divorces. There was a 16 per cent rise in the first four months of 2018, when compared to 2017 - this equates to an extra 1,200 divorces across the region in the past year. Meanwhile, changes to divorce law could have far-reaching effects. These would involve the introduction of a concept of ‘no fault’ divorce. At present, a divorce must involve one party blaming the other (and proving it) on the grounds of adultery, unreasonable behaviour or desertion. But if government proposals are agreed – and they generally have wide backing – then neither party would have to prove anything. Simply wanting a divorce would be sufficient. This would make it much easier to get divorced. It would also mean that divorces could happen earlier, because at present couples have to live separately for two years if no blame can be proven. Even then, if one party doesn’t agree to the split then couples have to live apart for five years before they can divorce. Given all of these factors, it really is advisable to think about putting some protections in place, especially for farmland that has been passed down through generations of a family and businesses where third parties are involved. Nowadays, more and more people are doing just that, in the form of prenuptial agreements (before marrying), cohabitation agreements (for those not actually marrying) or sometimes postnuptial agreements (if already married). Although not strictly speaking legally binding, the court will give considerable weight to such agreements if they are in place. In the best-case scenario, the agreement may never be needed and in the worst-case scenario it may save you the emotional and financial drain of contested Court proceedings. Are farmers looking to transform their land? You’ll usually find a farm filmed with lots of different animals. Whether it’s pigs, cows, or sheep, farm land is usually a place for agricultural processes. However, the UK’s farms have started to house other projects, such as cafes, restaurants, shops, campsites, and adventure. But the ideas aren’t stopping there as certain farms look for a unique selling point to bring in customers. However, did you know that Britain has a total of 20 million hectares which accounts for around 64% of the country’s land. While we still produce over five and a half million tonnes of potatoes and two million hectares of wheat is harvested in eastern England each year, weird and wonderful projects continue to ‘crop’ up. Here, with Lycetts, who provide insurance for farms, we take a look at some of the most extravagant and outlandish conversions seen on farm land in the United Kingdom. A farm in Dumfries, south-west Scotland has set up a tank driving experience. Scottish farmer Ian Evans had a lifelong fascination with the military machinery and decided to turn his dreams into a reality when he launched Galloway Tanks and offered members of the public a unique tank-driving day. Evans decided to buy his own in 1998. His Penklin Farm near Newton Stewart now boasts a magnificent cavalry of 20 tanks, including a Chieftain and four 432s. The day-long experience can cost as little as £50 and includes driving the machinery up rolling hills on his 14ha plot of farmland. There are also separate tracks for each vehicle. You can’t blame for farmers around Britain that want to make the most out of the land they have. Ernest Fenton moved to Kent in England from Scotland and converted his cowshed into a curling rink when he started missing the sport. Now, the facility just outside of Tunbridge Wells is recognised as England’s only dedicated curling rink. After speaking to a Canadian curling expert, Ernest began to import from North America to reap great benefits. Fenton’s Rink claims to be ideal for staff outings, team-building events, and Christmas parties. Are more farmers open to hosting festivals? Festivals are popping up all over the country, but they require large amounts of land to handle the floods of people who attend. With the likes of Barn on the Farm in Gloucester and the previously popular Wickerman Festival in Dumfries & Galloway, the music scene is taking advantage of the open space offered by farmland. Lounge on the Farm in Kent is another and has been running for 12 years. Although it may disrupt the usual farming activities for a short while, the money that can be brought in from renting out the space for a weekend can go a long way to covering costs for the entire year. Are more farmers open to creating a holiday village? More people are interested in staying at home rather than flying abroad — and more farms are offering camping and glamping retreats. Farms such as Glanmor Isaf Farm in Bangor, North Wales, are doing just that, opening up their space to the public so they can experience a taste of the Welsh countryside. If you’re a sucker for a nice view when you’re away, this mountainous location will definitely make a great Instagram post. If you choose to attend in early summer there’s even the chance to feed the pet lambs, while Welsh Black cattle, pigs, mountain sheep, and chickens are always in the vicinity. For those wanting more of the hands-on experience, why don’t you rent your own private chicken coop? If you do go ahead with such plans, don’t forget that you may need woodland insurance. Are more farmers open to hosting sports events? There are plenty of sporting events that take place on farms around the country. In Peterlee, Thornley Hall Farm has found itself added to the cross-country circuit in the North Eastern Harrier league..
Rapley Farm is home to the Spartan Race too. The series, which tests competitors’ physically abilities to the fullest by pitting them against an array of challenging obstacles, sees athletes travel the country to collect their medals after each run. Obstacles often include a barbed wire crawl, atlas carry, fire jump, and rope climb. There’s no reason why farmers shouldn’t’ be making more use of their land, as animals can only take up so much space! What idea would you like to see next appear on a farm near you? UK Agricultural Finance has secured important funding from one of the UK’s leading institutional investors, enabling it to increase its offering to farmers. The investment allows UKAF to build on the success in its bridge finance offering, to provide much-needed term funding for the rural community. The capital will enable UKAF to expand its loan book by £150m and is an important development as it continues to increase its financing offer. “We can now provide loans from three months to seven years, secured against agricultural land and property to help farmers diversify, acquire more land, build renewable energy projects, restructure, buy more livestock, help families with generational transfer and provide tenant farmers capital to purchase their farm,” says co-founder Robert Suss. “This additional capital means we can help farmers sustain, grow and improve their businesses. Securing it is testament to the strength of our team, risk management and business model. The exhibitors at the Glamping Show last week welcomed the inclement weather with gusto as it meant they could really showcase how well their structures stood up to Britain’s variable climate and how warm and cosy their structures are even when the temperature drops. Much like the sector it represents, the Show is constantly evolving and welcomed thousands of visitors from all corners of the UK and overseas throughout the three days of the Show, who were greeted by more exhibitors than ever before. As suppliers recognise the value of the Glamping Show visitors had the opportunity to compare and contrast not only a huge variety of glamping structures but also similar suppliers for services and accessories including bedding products, heating and sanitary suppliers, insurance and planning advice to name a few. The knowledge bank also evolved this year as the education offered by the Show stepped up a gear with the introduction of a number of short intensive courses to provide visitors with a more in-depth knowledge of specific areas of running your own glamping site, which was in addition to the hugely popular comprehensive seminar programme and one to one ‘Meet the Experts’ meetings. After four successful years of the Glamping Show the organisers wanted to give something back. So, teaming up with Kerry Roy of Camp Kátur, they launched GlampAid, a new industry charity to help those made homeless by conflict and disaster, welcoming long-time supporter of the Glamping Show, TV presenter, author and upcycler, Max McMurdo, as its ambassador. Although the doors have closed on this year’s Show the organisers already have new and innovative ideas in the pipeline to enhance the Show in 2019. Make the Glamping Show a date in your diary for 2019 and join us from Thursday 19 to Saturday 21 September 2019. The UK’s largest dairy show is gearing up to receive visitors from near and far, with guests, trade stands and judges coming from all over the world. This year a contingent from India will be attending the Show. Gurinderjit Singh, who spent six months on a placement at Walk Farm, Witham Friary, working with 400 Montbeliards, is returning to the UK to visit the Show – along with a group of farmer friends - after successfully building his own herd in India. His experience working at Walk Farm allowed him to create his own successful business and he now processes his own milk and has created an extensive home delivery service in the nearest town in the Punjab region. Another group from Ireland will also be visiting the Show. The 18 dairy farmers are part of the co-operative, Aurivo and will be travelling around a series of dairy farms as part of their tour. A further 11 visitors are coming from across the US and Canada as part of a longer trip to the UK to gain knowledge of the dairy industry. The contingent of dairy farmers and industry experts will also be visiting a number of dairy farms and other destinations before heading over to Ireland. The Show doesn’t just draw in international farmers: Many trade stands will be showcasing their products from all over the world. New Zealand Trade Enterprise will be travelling the furthest, to bring a variety of Aitchison grassland drills to the Show. And both Heuven Livestock BV and Gallagher from the Netherlands are set to showcase an array of products, along with Pectofeed Ireland and VUXXX GmbH from Germany. As well as attracting livestock entries from across the UK, the Show also has a history of esteemed judges attending from far and wide. This year, the Jersey Society’s National Show will see Alta Mae-Core from Kentucky, USA, preside over the judging of the Jersey competitions, bringing her own extensive expertise to the day. The Dairy Show will be held on 3 October at the Royal Bath & West Showground. Schedules for show classes are available online, and advance saver tickets can be purchased from www.bathandwest.com. The Dairy Show is registered with Dairy Pro and current members and those who join at the event will get their attendance registered on their personal development record and receive 2 Dairy Pro points. Farmers who are struggling to obtain funding for urgent or complicated projects can now secure finance through a new banking partnership. UK Agricultural Finance and NatWest have joined forces in the first partnership of its kind, to offer responsible, secured loans to farmers who may not have immediate access to high street lending. The agricultural lender - founded in 2015 and backed by leading financiers, family offices and private equity firms - has become the first agricultural specialist to join Capital Connections; NatWest’s panel of leading alternative lenders. Set up to offer complementary sources of capital to small and medium-sized businesses, Capital Connections signposts NatWest customers to innovative sources of finance outside of its traditional high street arm. “Mainstream agricultural lenders are very good at offering conventional loans, but it can be more difficult for farmers to access funding for business development, diversification or restructuring,” explains Robert Suss, co-CEO of UK Agricultural Finance. “Often projects are urgent or complex, requiring a bespoke solution rather than an off-the-peg package. Loans of between £100,000 to £10 million are secured against agricultural land and property across England, Scotland and Wales. Terms are available from one to seven years with a maximum loan-to-value of 65%. “It’s all about trusting yourself”, advises Cecily Mills, the founder of dairy-free ice cream brand, Coconuts Naturally. The former M&S store manager turned ice-cream entrepreneur received investment offers from two Dragons - Jenny Campbell and Tej Lalvani – in Sunday’s episode of BBC Two’s Dragons’ Den series, so she knows a bit about backing your own capabilities and trusting your gut instinct. Cecily chose to accept Jenny Campbell’s offer, while also winning universal praise for her delicious ice cream. 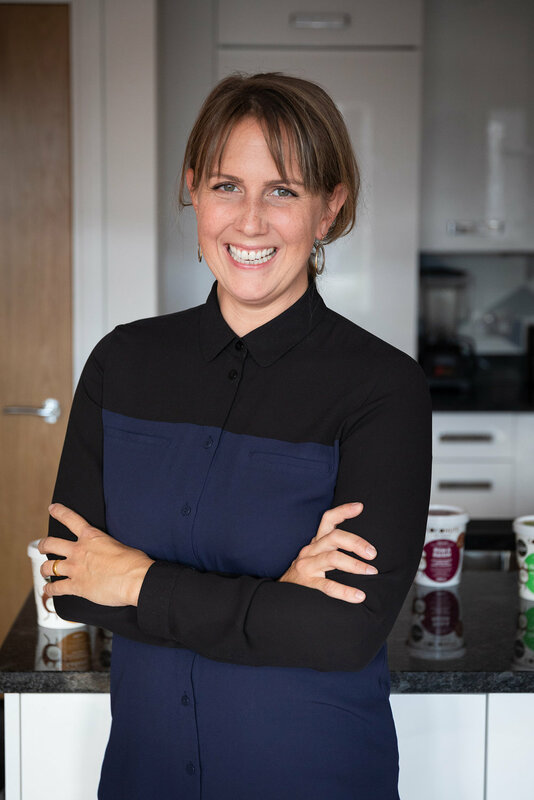 Cornwall-based Cecily launched Coconuts Naturally in 2015, due to her frustration over the lack of tasty and natural ice creams in the market. Having turned vegan to increase her energy levels, Cecily found that she really missed ice cream. So she decided to make her own - one that had all the health credentials she desired, including organic and all-natural ingredients, but with no compromise on taste and texture. Coconuts Naturally is now expanding its domestic and export business. It’s about to ship its first order to Hong Kong, and has also struck a deal with a major UK retailer. Meanwhile two new flavours are in development. “I’m constantly facing new challenges, but I love being kept on my toes. It’s what drives the business forward. I wouldn’t want to be doing anything else,” says Cecily. The new Agriculture Bill has fired a starting gun for England’s farmers to manage post-Brexit change, according to the Central Association of Agricultural Valuers. Farmers therefore need to plan ahead, whether to control costs or change enterprise, embrace innovation and new technology, make new investments, win planning permissions, manage succession, exploit assets, add value or improve marketing. Some of the money removed from BPS will go towards grants to help farmers become more efficient and productive, but there will be a limited time window in which they can be claimed. Defra has also confirmed that payments will no longer be linked to active farming – enabling retirement and freeing up land for change. The Royal Bath & West of England Society is delighted to announce the appointment of Debbie Howarth as Commercial Enterprise Manager. Debbie began her tenure in this newly created role on Monday 3 September with a remit to enhance the commercial potential of the Bath & West Showground and cement its position as the premier events venue in the West of England. Bringing a wealth of experience of the charity, communications and events management sectors, Debbie arrives at a hugely exciting time for the Bath & West with the recently opened Rural Enterprise Centre now on stream and delivering real results for local businesses, while the £1.2m redevelopment of the Bar & Restaurant building will transform the showground’s event space offering when it opens in May 2019. Farm incomes could face a sharp drop this autumn due to the summer drought, so it’s important for farmers to plan ahead to minimise the financial and physical impact. There is plenty that producers can do to prepare, according to rural accountant Old Mill, from raising an overdraft to pay for forage to reducing tax payments on account. “It is a very frustrating and demoralising time for both livestock and arable producers,” says Mike Butler, chairman of the board at Old Mill. For more information contact Mike Butler at Old Mill on 01749 335029. Feedback from a survey of visitors and exhibitors at the 2018 British Pig & Poultry Fair reveals that they considered it the best event yet. Held in May at Stoneleigh Park, the Royal Agricultural Society of England’s event attracted over 370 exhibitors and 10,131 visitors, who attended to see what was new, gather advice and hear from the experts. “The professional and business nature of the pig and poultry sectors was clearly apparent at the Fair,” says event organiser Alice Bell. “Our survey shows that producers found it an extremely valuable and worthwhile day away from the farm.” In total, 98% of visitors found what they were looking for at the Fair, with four out of five visitors planning to make changes to their business as a result of their visit. Taking place every two years, the Fair is a great chance for producers to see what is new, with 69% of visitors saying they attend the Fair to see new products, while 68% planned to make a purchase as a result of their visit. This is born out in the research, with 93% of producers rating their day at the Fair as valuable for their business, while 100% of exhibitors said they met most or all of their objectives of exhibiting at the Fair. 68% of visitors plan to make a purchase as a result of their visit to the Fair. 80% of visitors plan to make changes to their business as a result of their visit to the Fair.